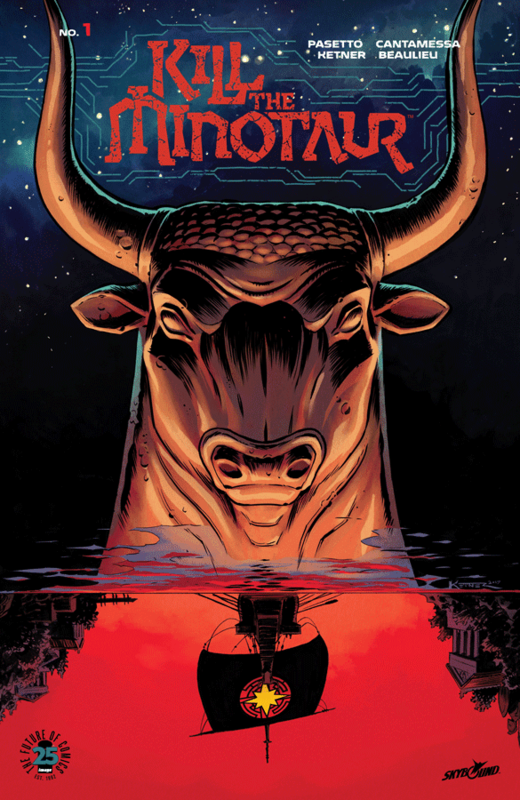 The Fellowship was fortunate enough to obtain a copy of KILL THE MINOTAUR #1 from Image Comics. Chris Pasetto and Christian Cantamessa write, Lukas Ketner draws, Jean-Francois Beaulieu colors, and Clem Robins letters. Seven young men and seven young women – that’s the yearly tribute that Athens must pay to Crete for losing the war. The crown prince of Crete is a monster, literally – the infamous Minotaur. Athenian prince Theseus is getting tired of rolling over for the Cretans, and hatches a plan to solve the problem. But he’s getting in way over his head. For being set in ancient Greece, this is a nicely modernized version of the classic tale. We get some father-son angst, some buddy-cop relationship, and some progressive ideas of fairness for the time. But it all works well, and is way more readable than any of Homer’s works. And the art adds a Mediterranean flavor as well as some fairly gruesome moments. This is a rollicking adventure tale set in ancient times, and would make a great intro to the classics for the younger crowd (not too young, though, as it has some icky moments). I think it’s going to be great fun. 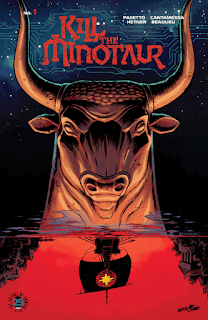 KILL THE MINOTAUR #1 is available now from your local comic shop, or online at imagecomics.com.